Product categories of Horizontal Pop Up A- Frame Banner, we are specialized manufacturers from China, Pop Up Display Banner, Banner Pop Up suppliers/factory, wholesale high-quality products of Pop Up Display Banner R & D and manufacturing, we have the perfect after-sales service and technical support. Look forward to your cooperation! 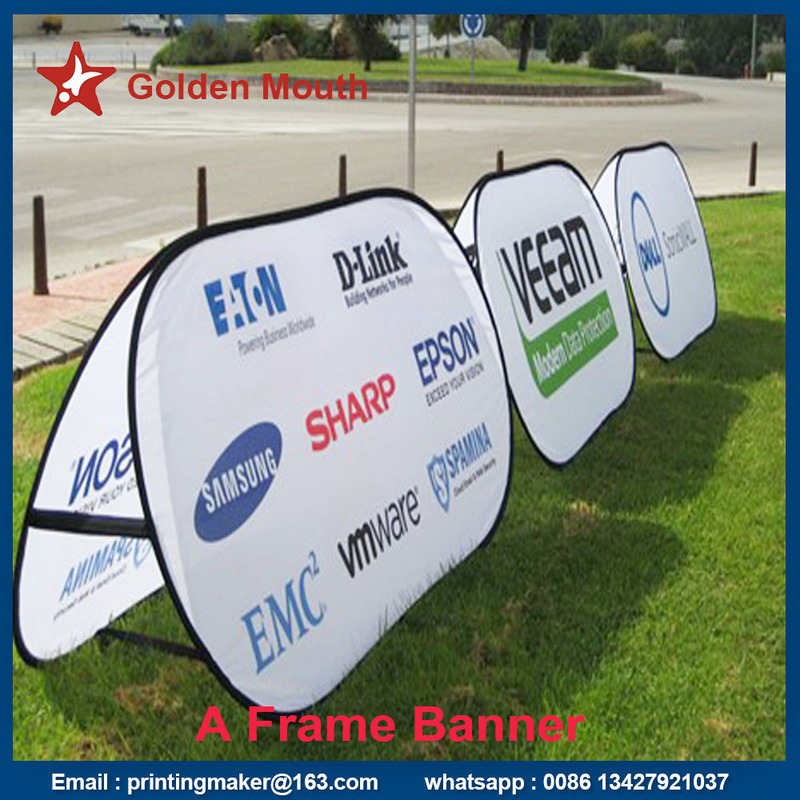 Horizontal pop up a frame banner is one kind of folding display system ,it is for indoor and outdoor displays . Available for four different size ,suitable for every promotion ,advertising activities . Double sided customized graphic printing makes it obvious in outside & indoor .You can show your logo ,brand ,products and service on each side of the banner .It is easy to move and assemble without tools .And each Pop Up Banner packed with 600D fabric carry bag .